I heart Shanghainese food, it is one those types of things I run to when I am in need of some serious comfort food. New Shanghai recently launched a new menu and that is where I discovered prawn wontons tossed with some peanut butter, red chilli oil and spice. Hello Hello... momma is right here. It might sound weird to you at first but if you think about it, a lot of cuisines uses peanuts with chilli. 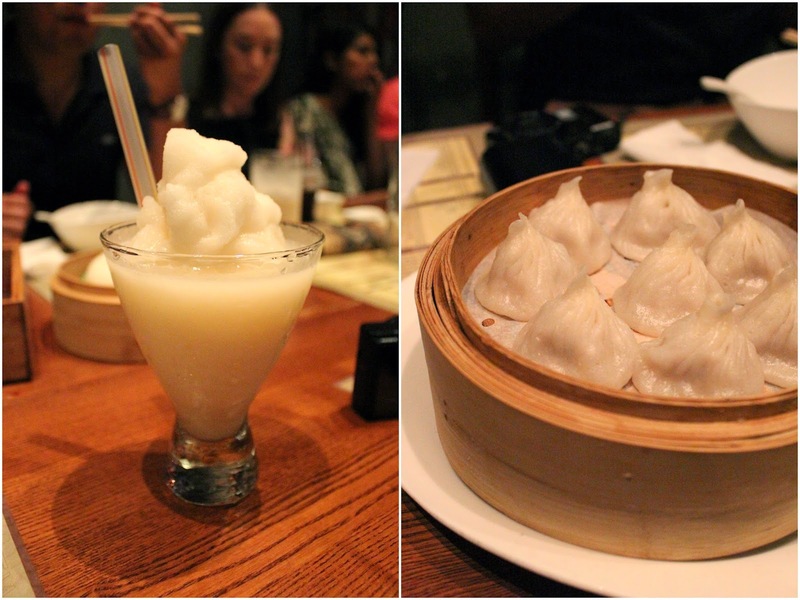 It was definitely my favourite dumplings of the night. The skin was soft and not excessively thick, the prawns were juicy and the richness from the peanut butter combined the chilli oil made it a sensational combination. Regardless of how may times New Shanghai decides to change their menu year after year, the classic dishes are always guaranteed to stay and never fail to disappoint. The instant comfort you get by sipping the soup from every individual dumpling is just so heartening especially on a cold winter's day. The yakult drink is a new item to the menu and if you are a lover of Yakult then you my friend, you really need to get your hands on one of these. You get the sweetness from the Yakult flavour but together with the crushed ice makes it super refreshing. Just don't be a fat pig like me and take a large sip because you will end up getting a mega brain freeze. Who doesn't love pork buns? 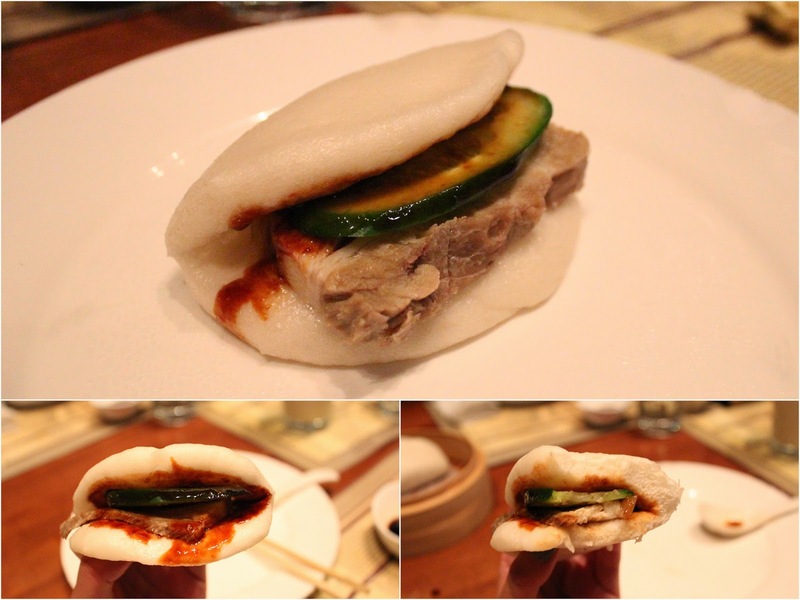 With thanks to Momofuku, these types of pork buns seem to be making a hit all over Sydney over the past few years. The bun was soft and pillowy and there was a generous dollop of hoisin sauce smeared all over my piece of pork belly. Now that is what I call comfort at its best. There were so many new dishes on the menu. 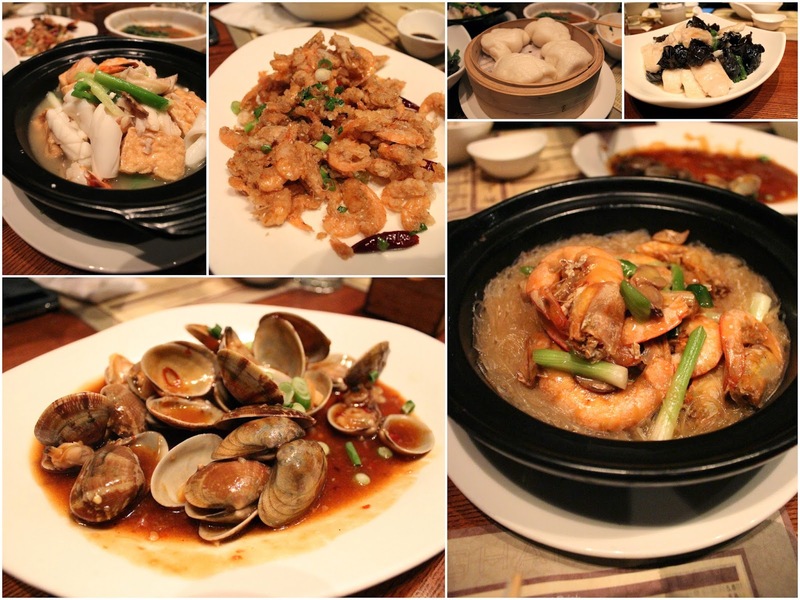 A few favourites of mine were definitely the salt and pepper soft shell crab, braised tofu with seafood in a hot pot, XO clams and the king prawn with the vermicelli. 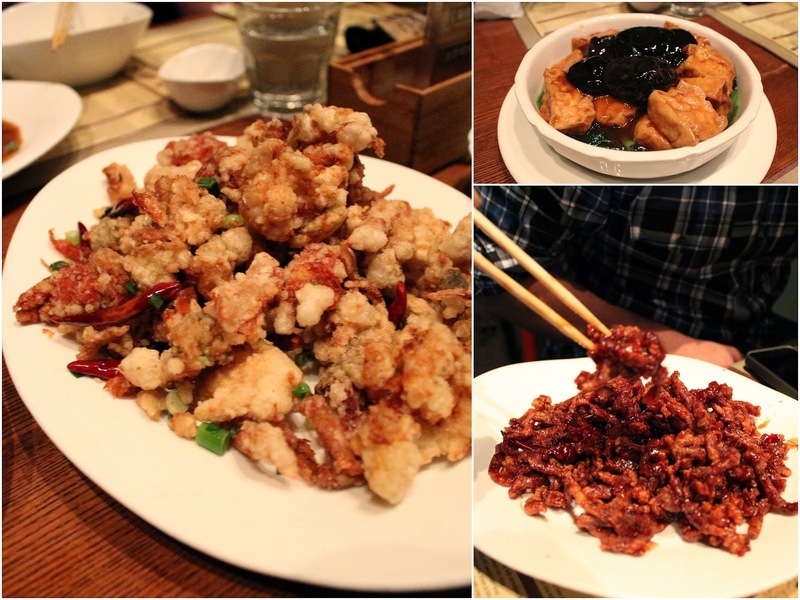 The saltiness and the crispiness of the soft shell crab made it super addictive. I could easily have smashed the entire dish myself. Tofu is one of my favourite vegetables, it probably ranks second after potato so anything with tofu in it, is going to be a favourite by default. The same goes for XO claims - another all time favourite especially when you get the kick of the chilli from the XO sauce. The king prawns with the vermicelli was a hit. You didn't even need to eat a prawn to see how good it was. It was so flavoursome that you could get a strong taste of the prawns simply by having the noodles itself. Finally for dessert, this entire bowl was only $10.80. It was such a bargain and there was also three scoops of ice cream on there itself. 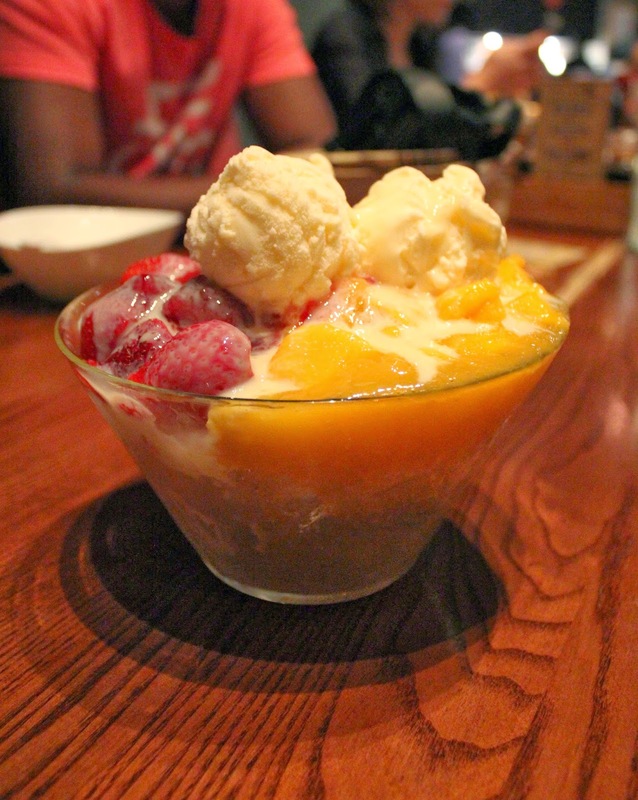 Fruit, shaved ice and ice cream is a classic and always a winner. The only thing is that you need to eat it fast because it melts pretty quickly but that shouldn't be a hard task to do. Can't wait to come back for moreeeee dumprings! haha epic feast! 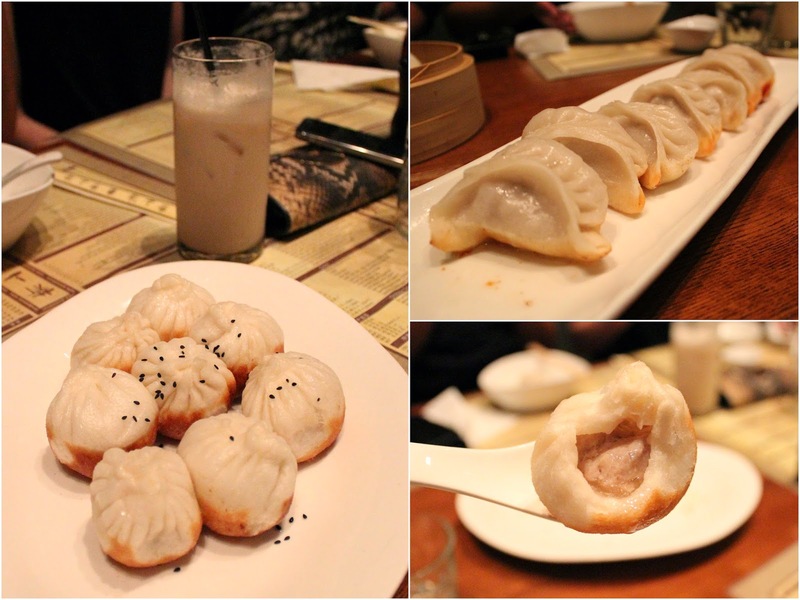 I still need to try New Shanghai's Xiao Long Baos. That pork bun sounds boss. yesss i work up the rd from shanghai nights, its so dangerous! Very nice buns indeed. It's been far too long since my last Shanghainese fix. Wanna try the King Prawn with ginger, shallot and vermicelli in hot pot New Shanghai, Chatswood Chase. Buuuuns! And deep fried stuff!! It's on the list and I really need to get in here. I've walked past here numerous times but always after already eating. Dumplings, buns......lovely!